GyroSchool is the one of the UK’s leading independent providers of integrated gyro training for students both from the UK and Internationally. 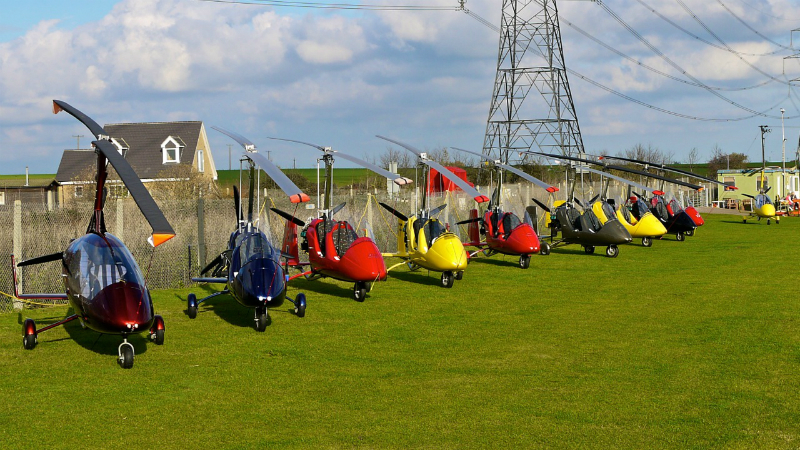 As an independent UK based flying school for Autogyros we believe that we understand many of the issues and challenges that students may experience and we have designed our training courses to help you achieve the PPL(G) in a positive and proficient manner. Our personalised approach to all our students is what is required to continue leading the way in the future. Established in 2006 we have gained respect and loyalty from our customers and former students along with the reputation for safety and professionalism. Kai Maurer is a fully qualified Gyroplane Instructor and Examiner who will take you through the syllabus and all ground exams. He has also recently been elected as an Upper Freeman of The Honourable Company of Air Pilots which received its Royal Charter in 2014. The flying training offered is for a full CAA approved Private Pilot’s Licence (Gyroplanes) course. The flying training offered is for a full CAA approved Private Pilot’s Licence (Gyroplanes) course, which means approximately 40 hours flying training undertaken as a mixture of dual (with your Instructor) and solo flying under supervision. You will learn how to handle the aircraft in the air, landings and take-offs, safety and emergency procedures, navigation and airmanship. In addition to the flying training, there is a required knowledge of six ‘ground’ subjects which include: Air-Law/Navigation/Meteorology/Human Factors/Radio Telephony and rotorcraft principals of flight. We have an instructor/examiner on hand to guide you gently and easily through the various subjects with the minimum of fuss. 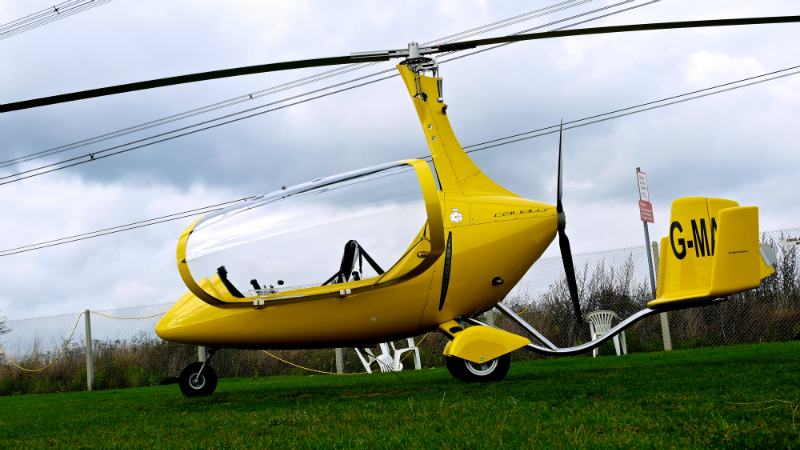 We train our students on the CAA approved factory built MTOSport and/or Calidus tandem seat Gyroplanes as well as the side-by-side Cavalon Gyroplane. These aircraft have a performance of up to 120mph top speed and a climb rate of 800-1200ft/min (one up) and 500-800ft/min (two up). The fuel capacity is 70 litres on the tandem versions and up to 100 litres on the side-by-side version. The average fuel burn is 12l-18l per hour so you could stay in the air for almost up to 4 hrs and even longer in the side-by-side. Their range of over 300 miles is nothing to be sniffed at either. These are serious, and yet seriously fun aircraft. 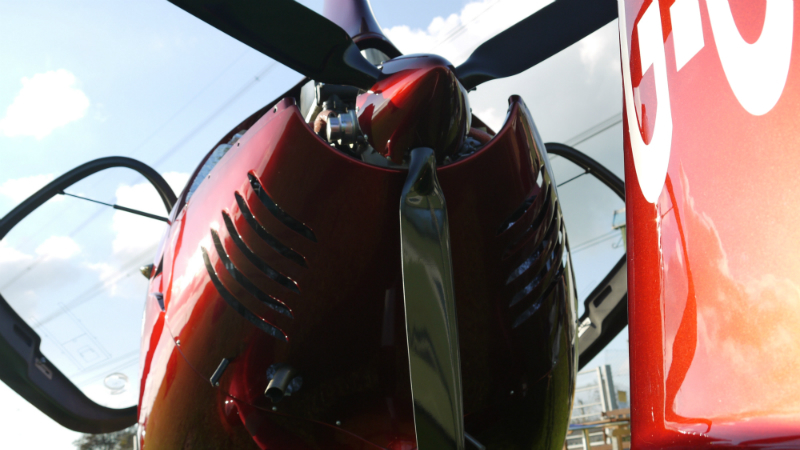 Here at the gyro school we offer all aspects of Gyroplane pilot training including all ground school subjects and examinations – but before you’re ready to lift off for solo flight you’ll need to obtain a medical declaration or a LAPL. Holders of a UK issued Pilots Licence in a different category of aircraft may be credited with, up to a maximum of 15 hours flying experience towards the PPL(G) training requirement.